A Carolyn Rocchio Caregivers recorded webinar featuring Denise Krch, Ph.D., and Peii Chen, Ph.D., Kessler Research Foundation. Aired live November 8, 2017. 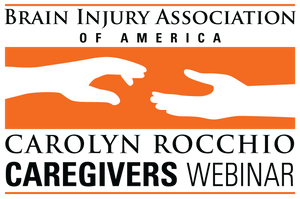 This webinar discusses the current state of knowledge regarding the impact of caregiving on carers of individuals with brain injury (both traumatic and acquired). The presenters summarize the findings learned from a recently completed support-based intervention and discuss the development of a new treatment that emphasizes teaching self-management strategies. Please note: Product will not be available to ship until November 29, 2017.